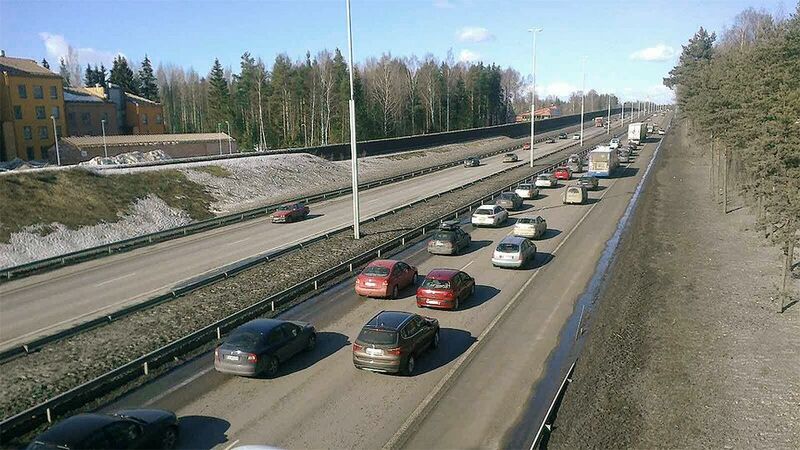 As many as 600,000 people in Finland are exposed at home to high levels of road traffic noise, as defined by the EU. According to a study published by the National Institute for Health and Welfare (THL) on Monday, the actual number of residents exposed to loud noise is probably lower, since buildings in Finland are well insulated due to the climate and therefore muffle externals sounds more effectively than in many other European countries. According to the EU, road traffic is the most significant source of environmental noise pollution within the region. Despite good insulation, though, noise ranks alongside air pollution as a primary threat to the quality of the living environment in Finland as well, says the THL. Exposure to noise can cause stress and disrupt sleep, the agency notes. "It would be beneficial to people's well-being if buildings were designed so that as many residents as possible could situate their bedrooms on the quieter side. We should favour flats that cut across buildings [with windows on opposing sides] or those where the windows face onto a yard," says THL senior researcher Tarja Yli-Tuomi. According to the THL, buildings in noisy areas should be equipped with proper soundproofing. "Residents of areas with traffic noise should also keep their windows shut. This also lowers exposure to air pollution. Apartments should have properly-functioning ventilation and air conditioning so that it is not necessary to use windows for ventilation," Yli-Tuomi advises. In future, registry data on buildings and flats should include information on the direction of windows, so that municipalities could better gauge residents' exposure to noise and air pollution, the THL urges. "This information would also be useful for research, because inaccuracy in exposure estimates can hamper or even block efforts to determine links between exposure and health hazards or benefits," Yli-Tuomi says. The findings, published in the THL journal Ympäristö ja terveys, (Environment and health in English) are based on a survey mailed to 16,000 residents of the Helsinki region.